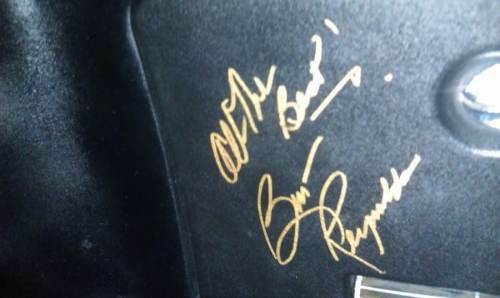 on the ‘Fast n Loud’ Discovery Channel TV show includes real Burt Reynolds autograph. Here it is for sale!! 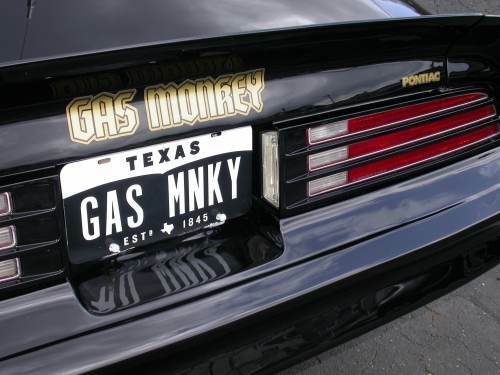 The TV car made famous by Gas Monkey Garage on the Discovery Channel TV show ‘Fast n Loud’ and signed personally by Burt Reynolds. The car was built to compete in a road rally as a ‘Smokey and the Bandit’ tribute and is now ready for street or track fun or just for show. A great car ready to drive and to be appreciated as a collector car. Discovery Channel has valued the car at $100,000 due in part to the tremendous following of the ‘Fast n Load’ show, the history of the ‘Smokey and the Bandit’ movie series with Burt Reynolds and Sally Fields, what went into making this car with high performance and high quality features, and the authentic autograph of Burt Reynolds on the dash of the car. Briefly, the car can be described as is a freshly painted black 1977 TransAm with Gas Monkey Garage official decals on the hood, w/side and rear badging, Hurst style T-tops new leather and suede interior, Kenwood CD Player/Radio w/Pioneer high-quality speakers, freshly built 403 engine w/aluminum radiator w/electric fans, 700R4 automatic transmission w/B&M lockup control, true dual exhaust systems w/H pipe and Flowmaster mufflers with turn-downs before rear axle, Wildwood disc brakes and coil-over shocks all around, original 10 bolt 3.73 rear end w/4-link rear suspension, Ridetech tubular front control arms and Nitto NT555 Extreme tires on 17 inch Year One ‘Snow Flake wheels. Obviously, the car is very responsive and handles like a fine road track car, and will draw great attention no matter where is driven. 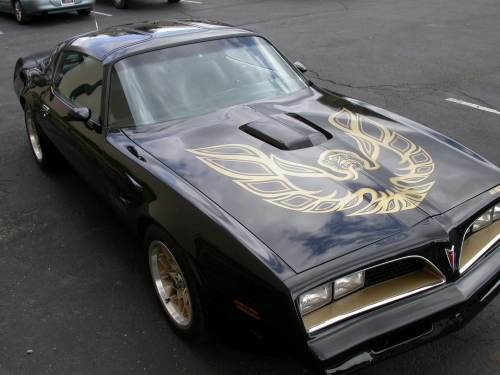 Admirers just may want to have their picture taken with the car, others may want to hear the sound of the bellowing exhaust, and others will want to see the authentic Burt Reynolds autograph on the glovebox lid. Have great fun this summer in one of the most unique and highly desired car of the season!